A charity named after Kanye West's late mother, Donda West, is changing its name after a spat with Kim Kardashian West. Donda's House announced that it will drop the name of West's mother after its cofounder Che Smith, best known as Rhymefest, feuded with Kardashian on Twitter. 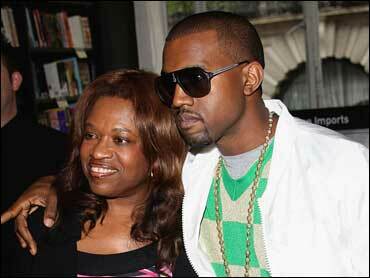 West and Smith co-founded Donda's House, a nonprofit aimed to help Chicago youth, in 2011. But over the weekend, when Smith complained that West had abandoned the youth of Chicago and asked for help from Drake, Kardashian West hit back with a barrage of tweets accusing Smith of using West's name for his own career. On Saturday, Smith tweeted, "I'm asking @Drake to help the part of Chicago Kanye has Abandoned! Please contact @DondasHouse." He also asked people to boycott Pusha T's new album, which West produced, and use that money to donate to the organization instead. Kardashian West hit back and said, "Truth is you haven't been able to sustain the foundation," and accused Smith of using West's name for fame. She also said that she is going to try to take the foundation away from Smith and let her children run it instead. After Kardashian West's responses, Smith said that she was "criticizing an organization that you've never physically been to OR that you've never even talked to the Executive Director or any of the team." Later, Donda's House tweeted that it was changing its name. "Due to recent events that have occurred over the last 48 hours, we have decided to no longer use the name Donda's House Inc," the charity wrote in a statement. "This has been an incredibly difficult decision but the social media quotes from Kim Kardashian West, as well as the expressed interest of her family running the organization, has brought us to this decision." The statement also said, "We'd like to thank all of our supporters, and we assure you that our hearts have always been with the City of Chicago and we will continue to support youth in our future endeavors. We encourage Kim and Kanye to indeed pick up the baton of service." Later, Kardashian West responded again and tweeted, "Kanye gave his 'friend' an opportunity to run an organization on his own. So now that Kanye is being publicly shamed for not being involved makes no sense and, at this exact time, just seems very calculated. I have and will always applaud any efforts to give back to the community. To fight for justice and to help uplift the youth. But I will never tolerate someone who was close to Kanye who attempts to use his late mother's name to publicly shame him while pretending to do good." Donda's House has not yet announced its new name, but the organization also asked people not to judge the organization by West's comments about President Trump. "We ask that those who feel hurt, angered by or frustrated with Kanye West not penalize or throw away their support, respect and advocacy for us," it said in a statement.